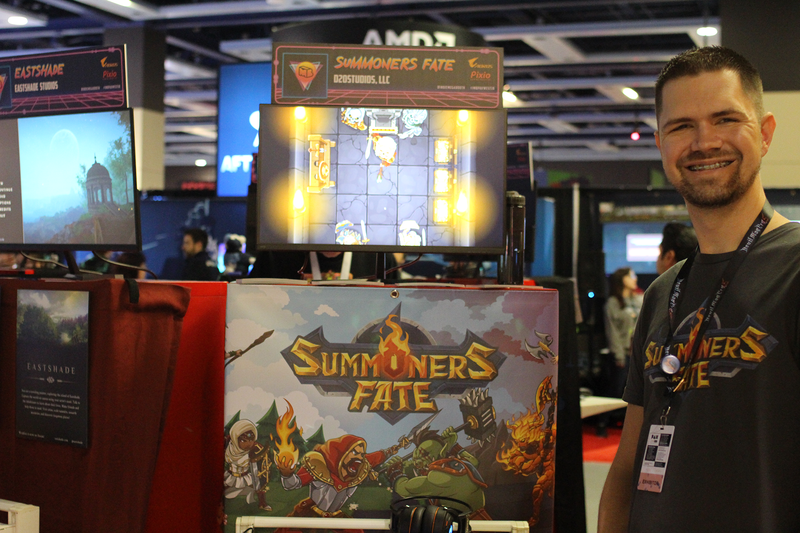 In my last blog post, I talked about the surreal and highly validating personal experiences I had showcasing Summoners Fate with the Indie MEGABOOTH at PAX West. Now I’ve had a chance to examine the data I collected from my demo, run an analysis, and come to some conclusions about my effectiveness. In this post, I’ll cover my marketing budget, how I prepared my game build for convention, the data I collected and what I think I could do to improve for next time. Let’s dive in! I stopped at several local printshops to get price quotes on these materials. As a point of reference, local shops would charge anywhere from $0.88 - $1.29 per color sheet, which would have cost $200 just for the give-away cards, and around $80-$100 for the banner. Instead, I ordered online and paid a combined total of $88 for signage/handouts and $28 t-shirt (and the quality was much better). Take away: Order marketing materials online. I modified our game demo to play our trailer whenever the player seat was empty. This ensured the monitor always had attention grabbing activity going on. Additionally, the demo reset automatically when the trailer starts, allowing me to stay focused on engaging with players. 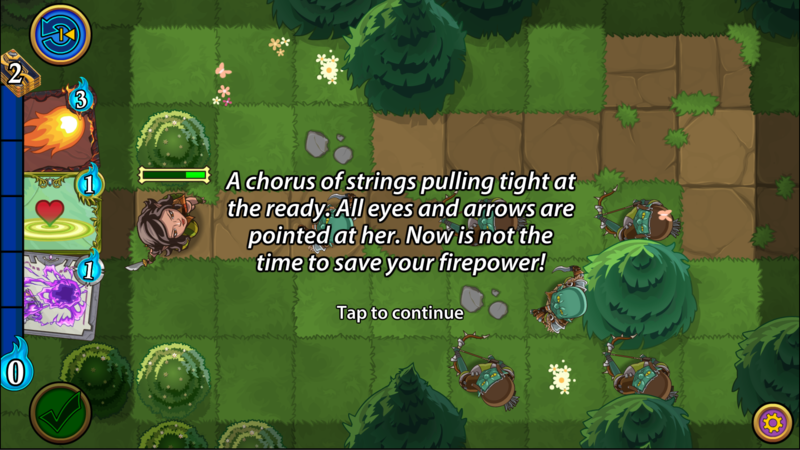 6 tutorial missions that teach the player how the game’s combat and cards work. Boss fight where I jump the player to a later stage in the game with more cards and additional characters to use. What made our demo unique was the onboarding design. Rather than explicitly direct the player to perform certain actions, I created puzzles that encouraged the player to “try and fail” to solve them and learn the mechanics in the process. Because of this design, I didn’t have to watch over and explain things, so I used the time to give my elevator pitch to passerbys. This puzzle has only 1 solution that requires the player to learn how to use their cards to win. Once the Start event fires, it waits for the “End” event to fire and attaches the result and total time (in this case, Victory took 28 seconds). Normally, I capture these events via server, but since internet was not available, I rewrote the service layer to store them in a local SQLLite database. 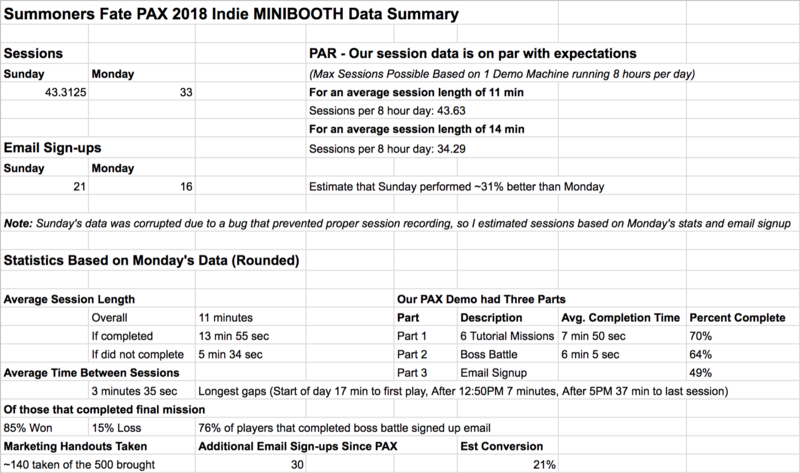 The first observation I have is that the number of player sessions is on par with what I would expect the maximum number of sessions to be given a 10-15 minute demo played continuously on one computer in an 8 hour day. This is not to say that every session ran the ideal time, but, on average, our numbers were within the expected range. Sunday’s data was corrupted due to a bug, but based on what I could recover and extrapolate against the Monday data, Sunday performed about 31% better. On average, there was about a 3.5 minute gap between sessions. Our largest gaps were on Monday (start of the day, during lunch, and pretty much stopped getting foot traffic after 5PM). If I take out the large gaps, it was about 2 minutes between sessions. The demo ran within the expected 10-15 minute window with a 64% completion rate. About half of the users who played signed up for email at the conclusion of the demo. Decrease difficulty of boss fight and change it to "retry on defeat". Our email prompt doesn't appear if the player loses the final battle, so I know I lost some emails here. Have a manual pen & paper sign-up - I saw another dev using this at Seattle Indie Expo, and think this is great for engaging interested users waiting to play. Run a second demo on an iPad to potentially double our metrics. Include a registration code to play the pre-release on the back of the marketing fliers. It was interesting how nearly every person I handed one to checked the back, and I think a reward incentive would make the handout more memorable and effective.